Our family visited UWL during our Malaysia trip last week. I had high expectations out of this place especially after seeing a similar place in Sentosa island in Singapore one and half years ago. I must say that UWL is a very well maintained place but not closer to the one in Singapore. Also, add on attractions such as Dolphin show is not there here and hence it’s more like an aquarium alone. But then, at a reasonable entry fee (we paid RM 104 for three of us i.e. 2 adults and 1 child) it’s a very good place to visit. By the way, it looks like the agents make a good commission out of this place. When you go with a taxi fellow, for example, he will guide you in and go to the counter first to come back with a sticker to put on you. When you go to the counter, based on the sticker, he will be getting paid. Wish they could pass that margin to the end customer. Anyhow, I don’t complain much on that front. Probably the best part of the UWL is that once you exit the place, you enter a duty free shop which is pretty awesome to carry a few things home. So go there with your passports – I found that the duty free shop in Langkawi, adjacent to the Underwater World is pretty cheap. The bride and I spent a marvellous 90 minutes enjoying the displays. Saw penguin feeding, the marmosets having lunch, and an amateurish snake show. Bigger than expected. Well laid out and maintained esp. for this part of the world. Good for kids, this shows a big collection of different fish types. If a photography freak, make sure the settings are good to capture for aquarium as flash is not allowed. There’s a shopping center inside but I didn’t find any place specific souvenier and other items were relatively costly for Langkawi perspective. Absolutely worth seeing. Lots of very interesting fish, even pinquins(?!) and a beautiful garden with monkeys and birds. 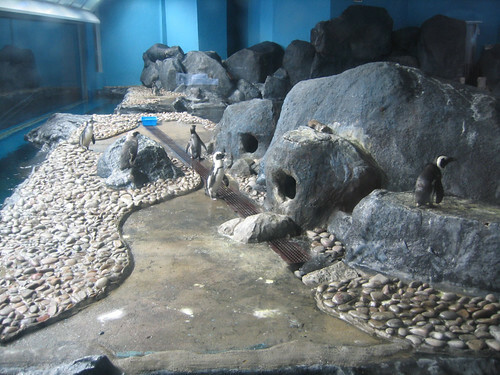 I loved this aquarium – lots of things to see from cute penguins to free-range otters! Clean, spacious. well-lit, able to take lots of photos and learn about the diverse range of marine life housed there. A great way to spend a couple of hours in air-con comfort. Lots of marine creatures to see. 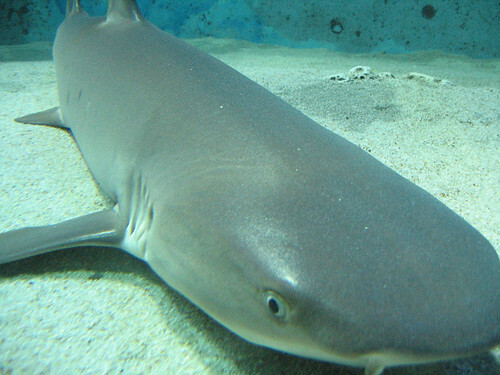 A shark which doesn't like to swim. Located in Pantai Cenang, around 30 minutes drive from Kuah Town, Langkawi, the Underwater World Langkawi is one of the largest marine and freshwater aquaria in South East Asia. Not only that, it had won numerous awards since its opening in 2005, including “Malaysia Best Man Made Tourist Attraction”. Therefore, don’t miss your chance of visiting this magnificent aquarium when you are stepping foot in Langkawi island. I had my chance of touring this place during my first visit to Langkawi. Here is a bit of overview of this interesting place. 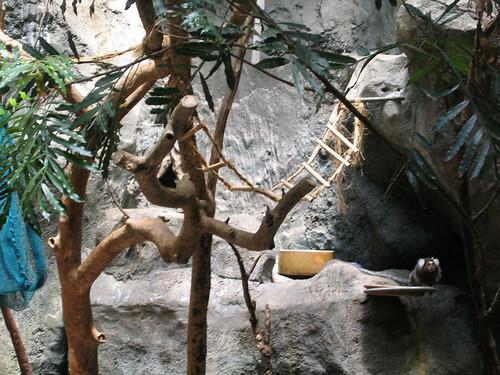 The sprawling complex is home to animals from three ecosystems – tropical, temperate and cold. Beside, there are also the adorable penguins from the African continent. Upon entering the building, I went thru a series of fish tanks ranging from sizes as small as a home aquarium to fish pond as big as a mini swimming pool. Some of the fish in the open ponds were so close to me that I felt like touching them with my bare hands. 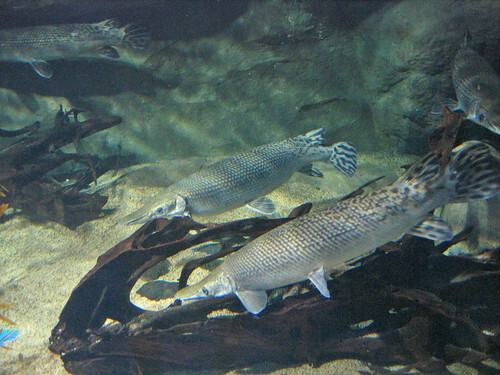 The fishes come from a wide range of species and most of them live in fresh water. Most of the marine lives are housed in closed tanks. A particular interesting tank is a tunnel tank where turtles, stingrays and all kinds of fishes swim inside this six-million-litres water tank. Imagine you are only inches away from it and the marine life. All kinds of fishes be it big or small swim above and all around you inside this tunnel. It’s thousand times more fun than watching National Geographic channel on Astro! I was tempted to take some photographs of the attractive marine life but tourists were not allowed to snap with flash for fear of scaring the fishes. Therefore, I had no choice but to take some shots without flash. It was quite a challenge though. 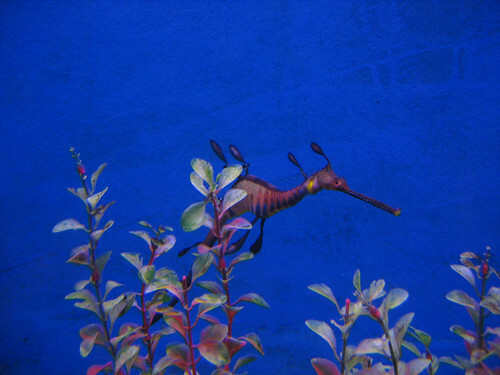 The leafy sea dragon from the Kangaroo Island, South Australia. 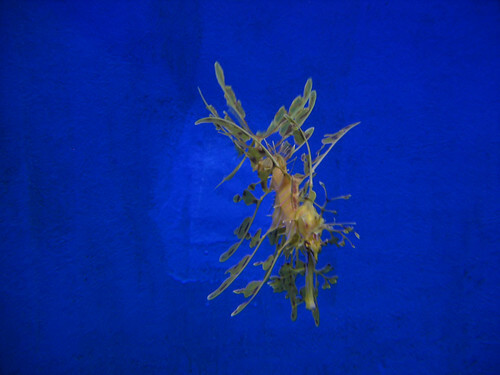 It has leaf-like tendrils that wave gently in the water. Other than tanks, there are also some ponds with otters, giant koi fish and also some world’s biggest fresh water fish such as the Amazon arapaima living there. On a rough estimation, I bet there are over 100 tanks housing both fresh water and saltwater marine life of numerous shapes and colors. The giant seahorse. This is probably the biggest seahorse I have ever seen in my life! Upon further walking, a different scene unfolds at the Tropical Rainforest with trees, caves and waterfalls. One of the main attractions here is an eight-metre long Amazonian anaconda weighing 150kg. It’s a young one at five years of age. 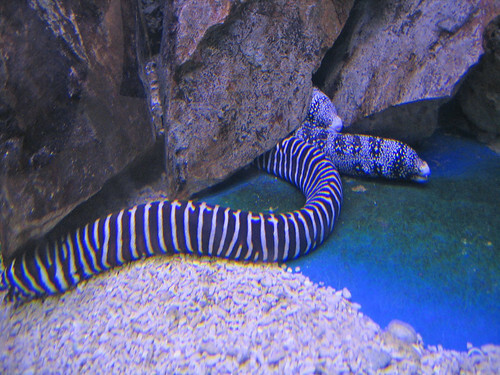 This slithery creature can live up to 40 yrs and grow up to 80 metres long. I was told that the anaconda at the Underwater World eats three or four chicken at one go, twice a week. The interesting animals to watch out for here are thepiranhas, gentle flamingos, giant arowana, and capybara and of course, the tiny marmoset from eastern Brazil. 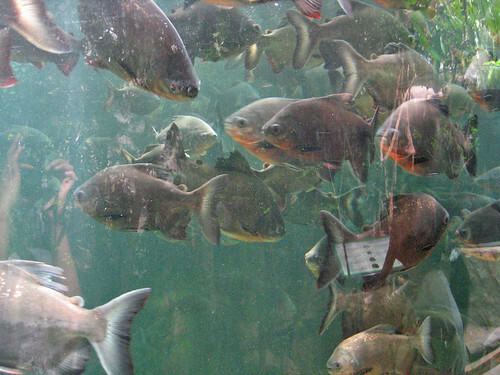 School of giant piranhas from the Amazon river. The freshwater dragon fish from the Amazon river as well. The world smallest monkey, the Marmoset. I thought this is the most interesting one among all the ecosystems. The star attraction here is undeniably the adorable penguins being housed here. The world has 18 species and the Underwater World Langkawi has two of them – Rockhopper and African. These creatures cost about RM45k each to bring in from Africa. Underwater World Langkawi is actually doing a good job here in breeding the penguins. Initially there are 20, but the population here has now grown with the addition of its Malaysian-born chicks for both the Rockhopper and the African species. It’s a great joy to watch these birds lining up during feeding time. Also not to be missed are the fur seal feeding times (10:45am, 2:30pm and 4pm) though they are separated by a thick glass of wall. But you can imagine these adorable creature barking with delight as they enjoy their meal or they would be lolling lazily or swimming in the water during their leisure hours. The African penguins are seen walking adorably. There is a 3D cinema with virtual reality technology that allows you to see various sea creatures that cannot live and survive in aquaria. Make you you don’t miss out on the 3D cinema because I felt like I was only inches away from these weird sea creatures while I was watching with a special glasses. Check on the viewing schedule first before visiting. Besides, there is also a gift shop, a merchandise centre, a dry seafood centre and ample free parking bays. Next to the Underwater World Langkawi complex are the Zon Shopping Centre and the Neptune Cafe, making the entire place a one-stop shopping, eating and entertainment centre. RM28 for adult and RM18 for children. It’s best to call ahead before you come to the place. Certain sections maybe closed at times to facilitate maintanence. Langkawi Crocodile Farm – See how these giant reptiles twisted their preys and fight for their food during feeding hour. Find out here the visiting hours, location and attractions. Langkawi Cable Car – Take a cable car ride up to the summit of Gunung Mat Cincang and enjoy the magnificent view of the island and the Datai Peninsula. Adjacent to the base station is Oriental Village, a themed shopping centre. For the rest of the photos taken at the Underwater World Langkawi, please visit the following photostream. Thanks for viewing. Next post: Can You Afford to Climb Mountain Kinabalu?